Properties in Hiawassee average 4.7 out of 5 stars. 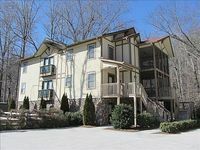 Property 2: Secluded Chattahoochee Apartment w/Stunning Views! Property 3: Enjoy Lakeside Living At Its Best On Lake Chatuge! Property 11: "BREATHLESS" - Lovely one bdrm. Chattahoochee Riverfront. Easy walk to Helen. Property 13: The North Georgia Mountains Are Calling You!! Property 17: Waterfront Rental! Free docking! Bring your boat! Property 18: Mountain Experience with town convenience! COME AND ENJOY A STAY IN BEAUTIFUL HELEN, GEORGIA!! Property 25: COME AND ENJOY A STAY IN BEAUTIFUL HELEN, GEORGIA!! Property 26: Riverfront, with private deck, pet friendly - in the heart of Helen! 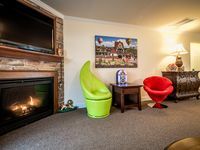 Property 28: Enjoy The Hot Tub, Fireplace, And Walk To Town For All Your Entertainment. Property 36: Birdsong Villa Unit # 4 Have fun on Lake Chatugue! Property 37: DOWNTOWN convenience! Walking distance to everything ! Property 41: "River Retreat " walking distance to downtown.